In a rapidly changing and unstable region, young Egyptians like many others around the Arab world aspire to migrate to find economic, cultural or personal stability. Four young Egyptians take a journey on different paths to find the place they can each call “Home.” Whether it is for financial, family, religious, career or personal reasons, they search to find true belonging. For some the answer is immigration and for others the answer is right around them. Sebae dreams of being a famous singer, but feelings of family obligation keep him in his father’s business. Myriam wants to be free to marry whomever she loves, even if he has different religious beliefs, but she is faced with opposing family values and societal norms. Hams is on a quest to find the place where she doesn’t feel like an outsider. She journeys around the globe and settles in Cairo in hopes of finally finding a place to belong. Moataz wants the simple things in life, but financially struggles to make his dream, of marrying his fiancé and starting a home together, come true. 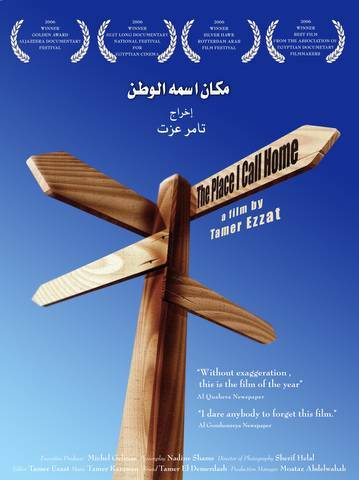 In an attempt to find their true meaning of “home”,filmmaker Tamer Ezzat, captures their stories in moments of confrontation, reflection and everyday activities with their friends and families. These stories are not only touching, humorous and dramatic, but they are real as well.